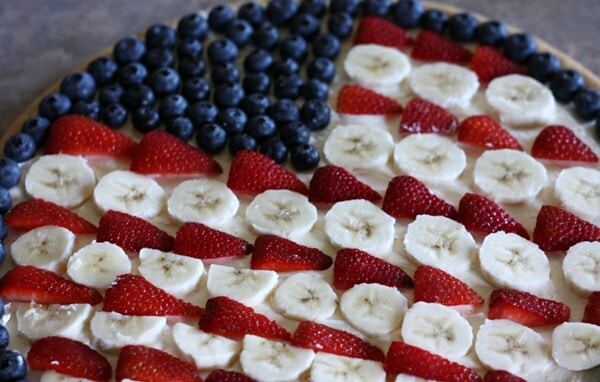 This Flag Fruit Pizza from SabbyInSuburbia.com is a 4th of July staple! And it’s even full of lots of fruits! This is going to be a cool and refreshing dessert for your 4th of July feast! 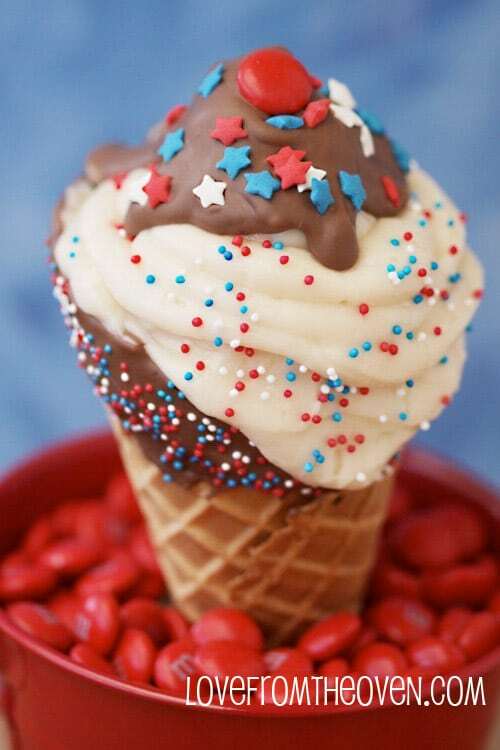 I love these Red, White and Blue Ice Cream Cone Cupcakes! LoveFromTheOven.com really hits the jackpot with these 4th of July treats. 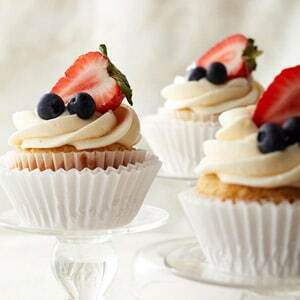 Everyone is going to love these desserts and since they’re cupcakes, nobody has to worry about their ice cream melting! 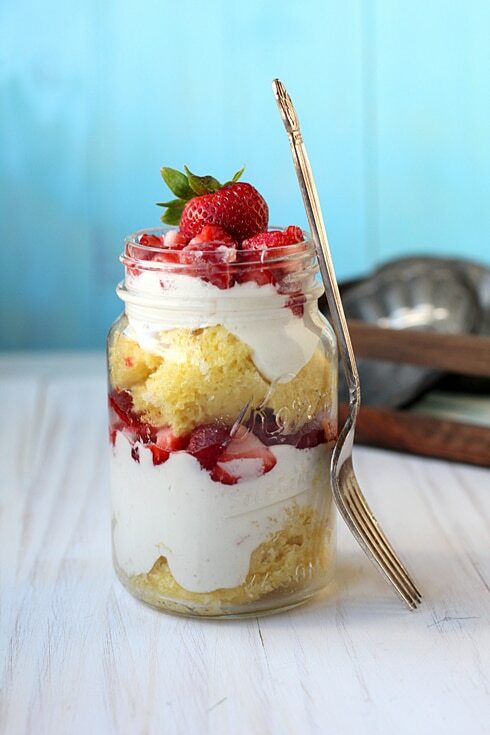 A Strawberry Shortcake In A Jar? Babble.com really captures the essence of summer with these delicious treats! If you’re missing the blue, throw some blueberries in there and you’ve got the colors needed to celebrate your summer holiday! 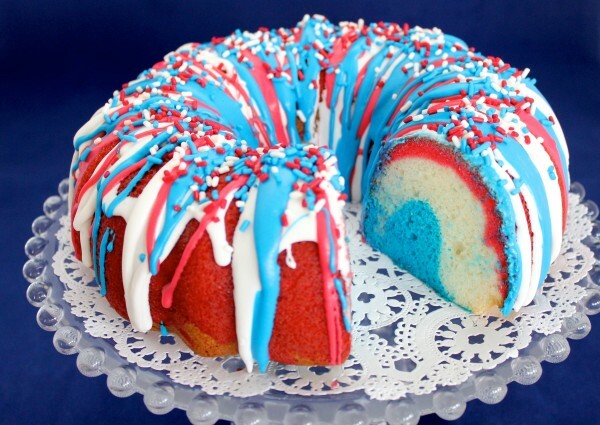 This Firecracker Bundt Cake from CookingWithSugar.com is going to be perfect for your guests. Add some sparklers on top to light up your celebration! Fun! 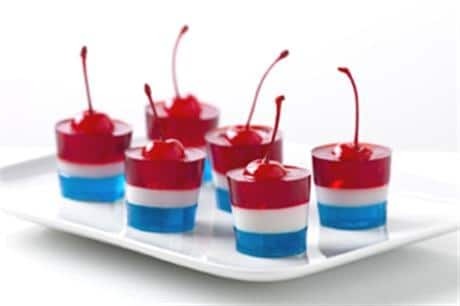 Who could resist these JELL-O Firecrackers from KraftRecipes.com? These are absolutely adorable and the cherries inside of the firecrackers are genius! 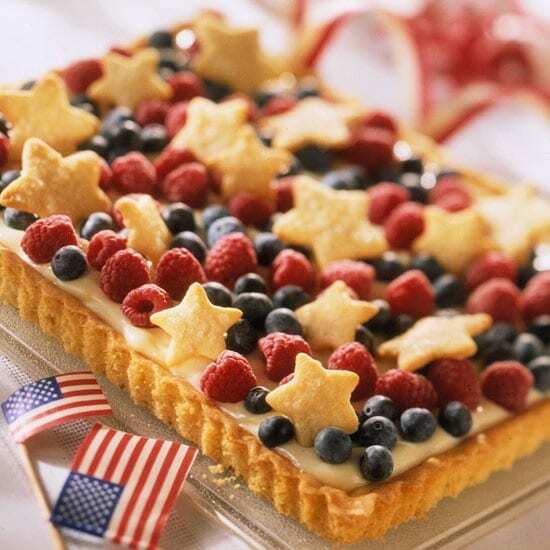 This Red, White and Blue Tart looks absolutely delicious! BHG.com showcases a gorgeous 4th of July dessert and will be at the top of your list once you check out this recipe. Yum! Easy Berry Cheesecakes also from BHG.com are a simple, yet elegant way to celebrate this country’s freedom! I love the fresh fruit toppers on the great frosting. Yum! 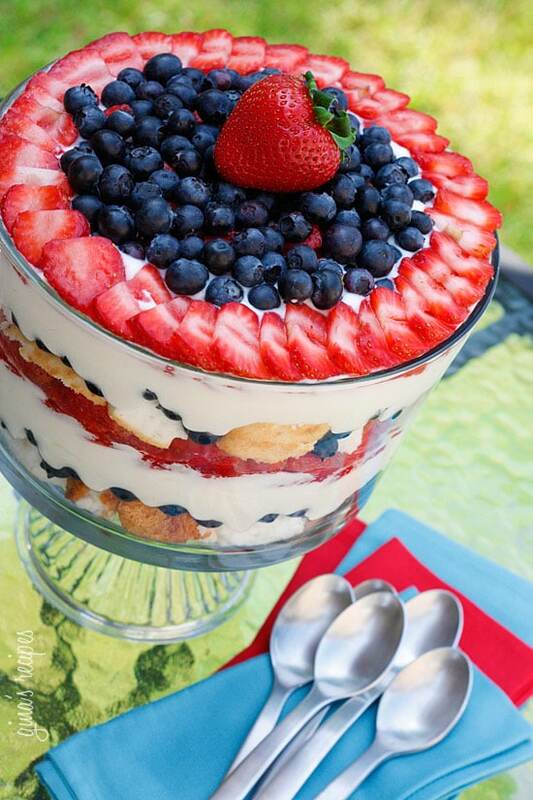 Red, White and Blue Trifle, anyone? Oh my, this looks like a wonderful dessert to dig into! 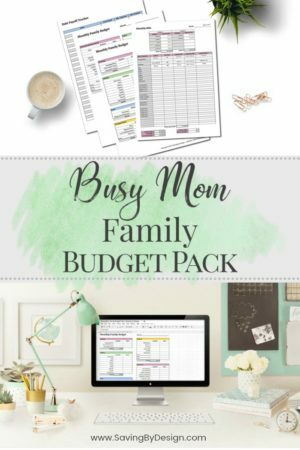 SkinnyTaste.com is on-point with supplying a great recipe for your family get-together! 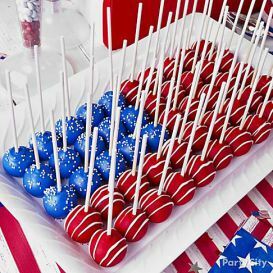 These Red, White and Blue Cake Pops make a great US Flag, don’t they?! AllAroundTheMulberryBushBlog.com showcases a great idea for cake pops by making sure you pay homage to the great flag at the same time! You won’t want to see it get eaten! 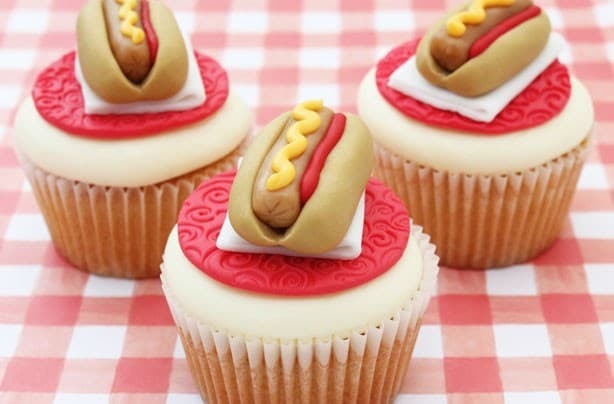 Finally, these Hotdog Cupcakes from GoodToKnow.co.uk might not be exactly patriotic, but they are about the greatest cupcakes I have ever seen! I’m so going to have to try my hand at these. 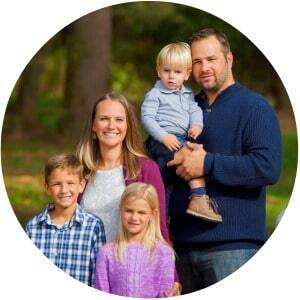 How adorable are they?! They might take me a few weeks to figure out, but it’s all for a good party, right?! Hopefully you’re preparing for the summer holiday and making plans with friends and family to celebrate the 4th of July. With these great ideas you’ll have the desserts all ready and won’t have to dig up things at the last minute. And people are going to love them! Have a safe holiday! 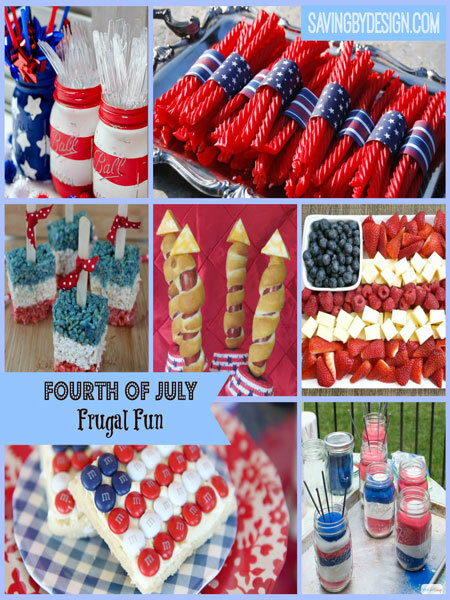 Don’t miss these other fun 4th of July posts!